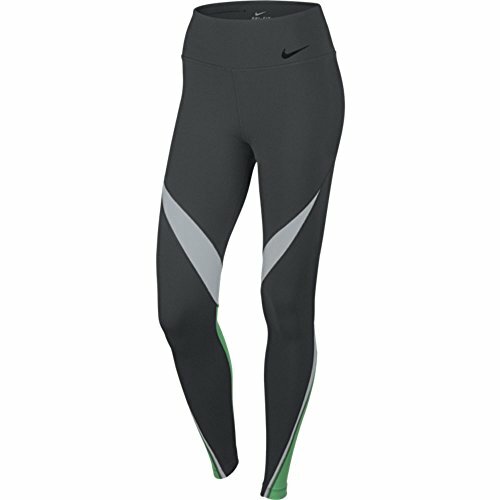 The Nike Legendary Fabric Twist Veneer Women's Training Tights help keep you cool and comfortable, indoors and out, with breathable mesh panels and super-soft sweat-wicking fabric. Color-blocked mesh panels enhance breathability while highlighting the curvature of your leg muscles. The high waistband is raised in the back to provide additional coverage and avoid roll-down as you bend and stretch.